ETHIOPIA. Rwanda President Paul Kagame has asked African Union member states not to be cowed by Western intimidation as the Union moves to implement a string of reforms geared at making the continent self-reliant. Kagame who has been championing the need for Africa to demand improved engagements that are mutually beneficial when dealing with Western countries, was Monday presenting a report on the implementation of the AU institutional reforms in Addis Ababa, Ethiopia. Kagame said some aspects of the reforms could cause discomfort among some external partners as it challenges some of their interests as the continent becomes more independent. “As evidence mounts that this reform is real and irreversible, there have been expressions of polite surprise, bordering on discomfort, from external parties,” Kagame said. During the its summit in July last year, the African Union tasked Kagame to carry out a study and propose recommendations for institutional reforms to improve the efficiency and transform it into a self-reliant body. To effect this, the Rwandan leader put together a committee comprising experts from various backgrounds from across the continent to study challenges and propose solutions. 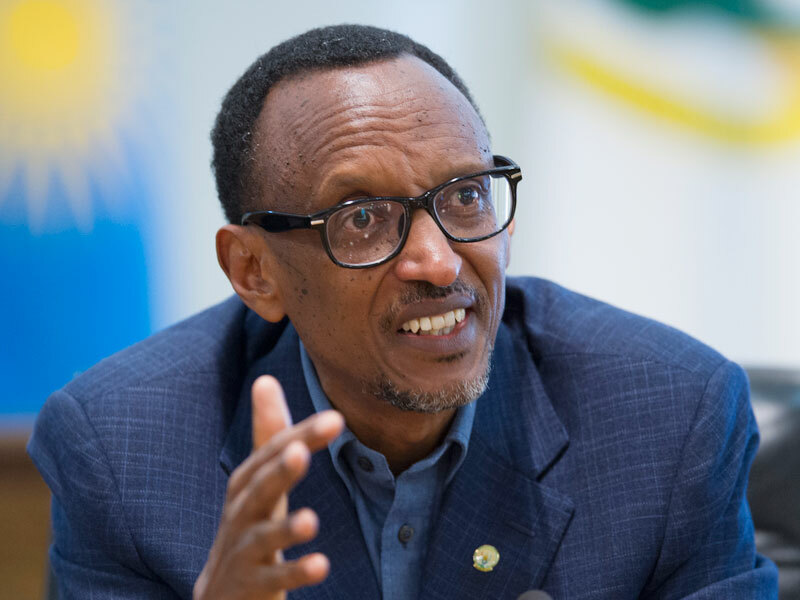 The ‘Kagame Report’ was presented to the Union in January by the Rwandan leader, who said Africa cannot leave implementation of institutional reforms to chance or treat it as routine. 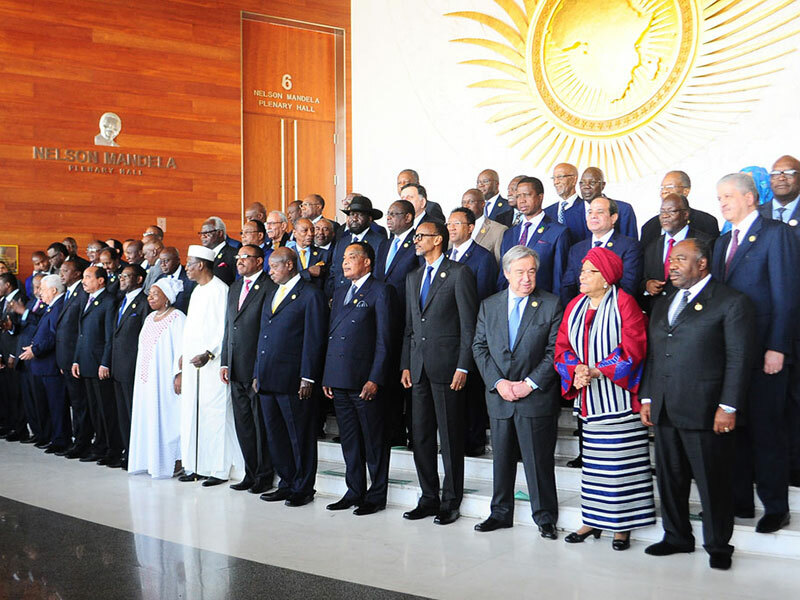 “Both in the Assembly of Heads of State and the AU Commission, the responsibility for delivery of the reform agenda must be clearly assigned,” Kagame told the AU leaders, reminding that chronic failure to see through African Union decisions had resulted in a crisis of implementation and a perception that the AU was not relevant to Africans. The West has often felt uncomfortable with some of the reforms African leaders try to implement. Over time, there have been many instances when Western powers threaten African leaders on policy matters within own sovereignty. 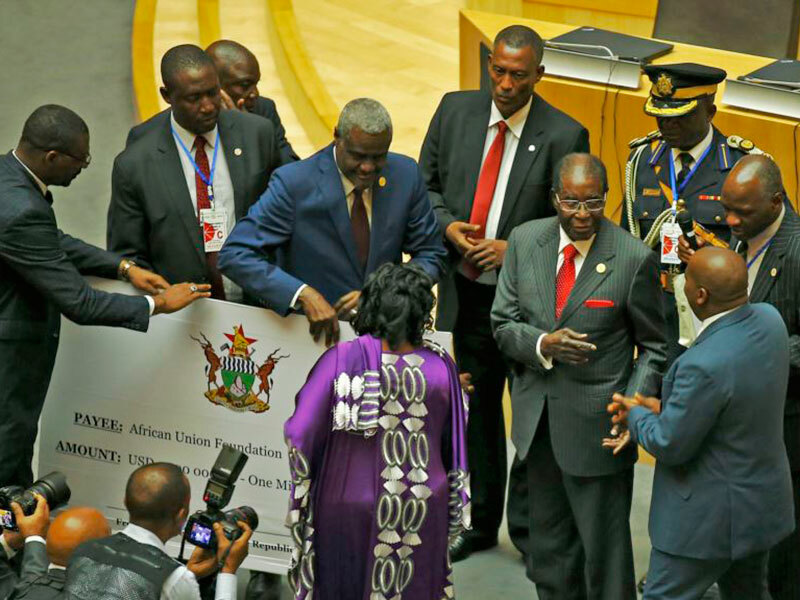 Zimbabwe’s Robert Mugabe donated $1 million to AU yesterday. A few years ago, Ghana and Nigerian faced the wrath of the US over attempt to implement policies related to ban on import of used garments. More recently, the US threatened to review its trade benefits to Uganda, Rwanda and Tanzania under the African Growth and Opportunity Act (AGOA) over the East African Community countries’ stance on the importation of used clothing, commonly known as Mivumba. But Kagame, who last month said Rwanda will make the tough choice in the interest of its citizens and proceed with the planned phase-out of importation of used clothes despite the threats from the US, continues to rally African leaders to stand firm in the interest of their citizenry. “Accommodating an articulate and effective African Union in the world order challenges entrenched interests and assumptions. In Even those who wish us well may have reason to discourage a more independent and organised Africa. We should be prepared to react accordingly,” he told the African leaders yesterday, adding that the “discomfort among external partners” should always remind the AU member states on the need for the reforms. The African Union last year adopted a self-financing mechanism whereby a 0.2 per cent levy on eligible imports would be imposed on products from outside Africa. The AU adopted the new proposal. And, as expected, Western forces were not amused. AU leaders in Addis on Monday. The World Trade Organisation and the US government moved to arm-twist the agenda by writing to several African Union member states on the legality of the implementation of the new self-financing mechanism, warning that the move is not entirely compatible with its principles. But Kagame yesterday told the Union that the reforms will be done with flexibility to ensure that all member states’ concerns were taken into consideration. “The reform process contains the flexibility to improve as we go along, and we will continue to listen to each other and incorporate feedback. The key principle we must insist on is not to allow political or technical dilemmas to override our strategic imperatives, but rather to address them as they arise,” he said. Kagame called on the African heads of states to be active participants in the reforms process, saying it was long overdue and a window of opportunity for growth.